When Noel Thomas walked off the field after a season-ending loss to Tulane, it was a foregone conclusion that the receptions would be distributed much differently during the 2017 season after Thomas hauled in a UConn program record 100 catches as a senior. 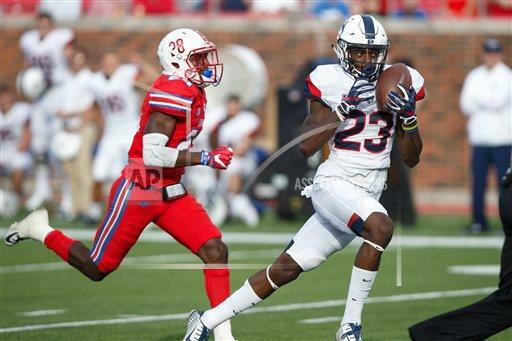 While returnees Arkeel Newsome, Aaron McLean, Hergy Mayala and Tyraiq Beals have combined for more receptions than they had a season ago, the impact of the freshman class has been a bit of a revelation as they have helped UConn's fast-paced offense get rolling. With Keyion Dixon (17 catches, 211 yards), Quayvon Skanes (19-167), Mason Donaldson (13-176), Kevin Mensah (5-41) and Nate Hopkins (2-7) getting into the act, the class has 56 catches for 602 yards. Heading into this week's game, only Ball State gets more receptions per game from freshmen than the 9.3 by UConn's frosh while the Huskies join Louisville, Nevada and Ball State as the only FBS programs with freshman classes combining for at least 100 receiving yards per game. In terms of UConn freshman classes, in 2002 which was UConn's first FBS season, Jason Williams, Terry Caulley, Brandon Young, Deon Anderson and Tim Lassen combined for 78 receptions and 858 receiving yards. This current class is second on that list.